Tapedeck.org is a project of neckcns.com, built to showcase the amazing beauty and (sometimes) weirdness found in the designs of the common audio tape cassette. There's an amazing range of designs, starting from the early 60's functional cassette designs, moving through the colourful playfulness of the 70's audio tapes to amazing shape variations during the 80's and 90's. We hope you enjoy these tapes as much as we do! The compact audio cassette medium for audio storage was introduced by Philips in 1963 under the name Compact Cassette. Although there were other magnetic tape cartridge systems at the time, the Compact Cassette became dominant as a result of Philips' decision (in the face of pressure from Sony) to license the format free of charge. It went on to become a popular (and re-recordable) alternative to the vinyl record deck during the 1970s. During the 1980s, its popularity grew further as a result of the Sony Walkman, with cassette sales overtaking those of LPs. (Vinyl overall remained ahead due to greater sales of singles, although cassette singles achieved popularity for a period in the 1990s). The mass production of compact audio cassettes began in 1965 in Hannover, Germany, as did commercial sales of prerecorded music cassettes (also known as musicassettes; MC for short). The system had been initially designed for dictation and portable use, thus the audio quality of early recorders was not well suited for music. Some early models also had unreliable mechanical design. As time went on, various improvements (in particular, the introduction of Dolby noise reduction) resulted in the format being taken seriously for musical use. Although its use in the West has declined as a result of more advanced technologies, it remains widespread, and is still the dominant medium for listening to music in many third world countries. In essence, the audio cassette is simply a cassette-based (and smaller) version of the older reel-to-reel tape format. It consists of two miniature reels, between which an oxide-coated plastic tape, or magnetic tape, is passed and wound. These reels (along with some other mechanical parts) are held inside a protective plastic shell. Four single audio tracks are available on the tape. These are paired to produce two stereophonic tracks – one played when the cassette is inserted with its 'A' side facing up, and the other when it is turned over (with the 'B' side up), thus mimicking gramophone records. Have you got some cool audio tapes lying around? Send us a picture then, we'd love to get e-mail from you! Thanks you all so much for the contributions tapedeck.org has already received - without your input this site would be impossible. Thank you very much: Alexandru, Diego, Ahmed, George, Dominik, Marcello, Jouse, Pascal, Niko, Jaromir, Tim, Paul, Luciano, Marc, Andreas, Colin, Alexander, Roland, Maurice, Sven, Radu, Daniel, Scott, Reinhard and Ronny! 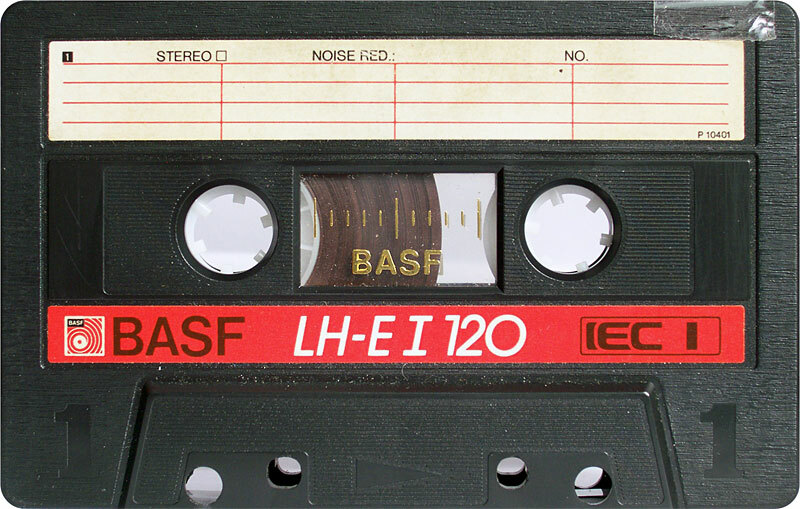 Currently we have 934 audio tape cassettes online. Tapedeck.org was built using webdesign tools from webdesignerstoolkit.com.